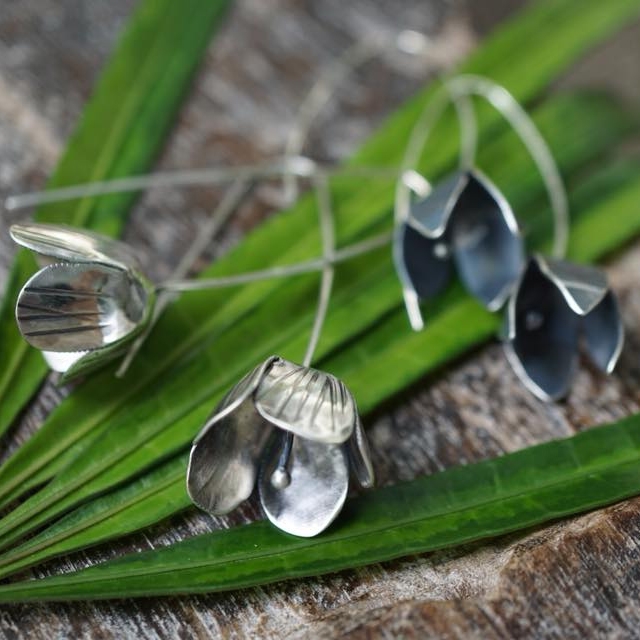 Emma Goodwin-Turpin - "I’m really inspired by flowers and all things nature." With Spring just around the corner, we love seeing more and more colourful and unique jewellery pieces popping up. 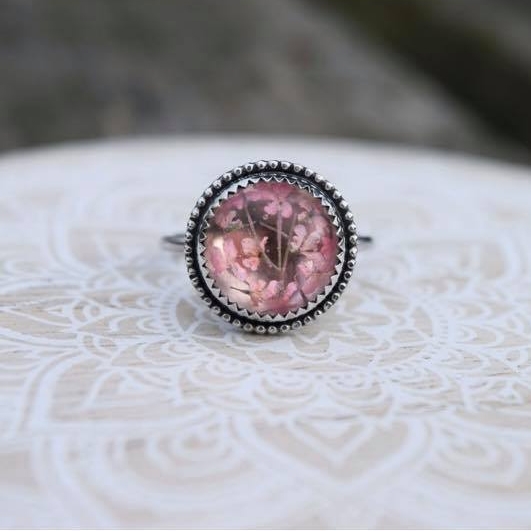 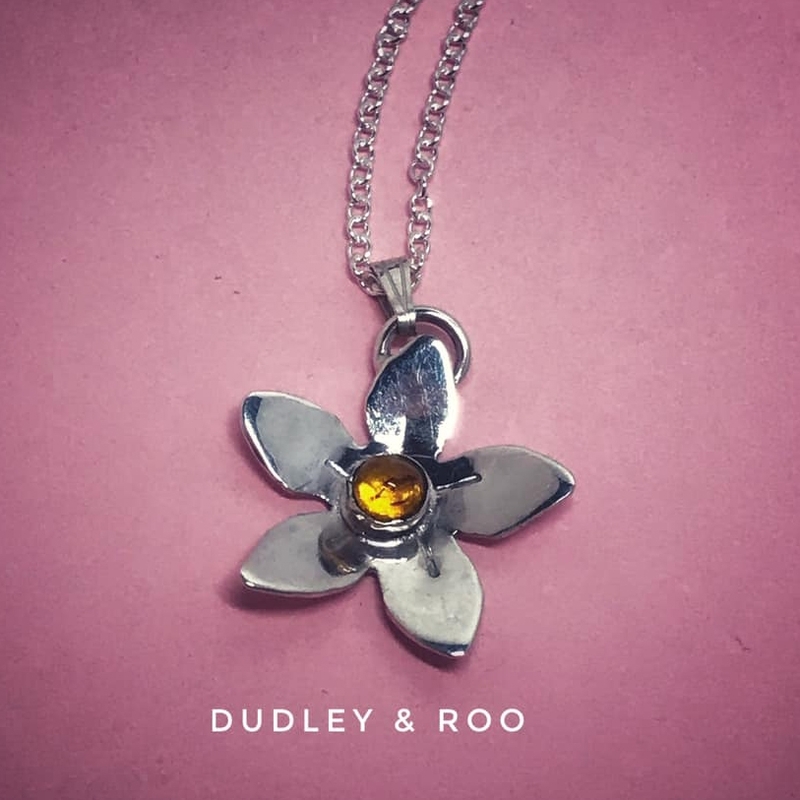 To inspire your jewellery designs, we've created The Floral Collection, filled with spring coloured gemstones, flower charms and more for your handmade creations. That's not all, in this blog post we're sharing our favourite jewellery designs inspired by flowers. From delicate stud earrings, gemstone rings, resin pendants to sea glass designs... you won't be disappointed! 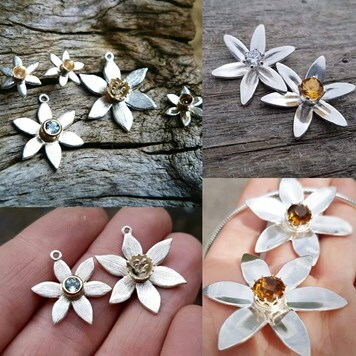 Share your flower jewellery designs with us on Instagram, Facebook & Twitter and don't forget to use #Kernowcraft for a chance to feature. Silver Dragonfly Jewellery - "Textured and folded flower earrings inspired by orchids and frangipani." 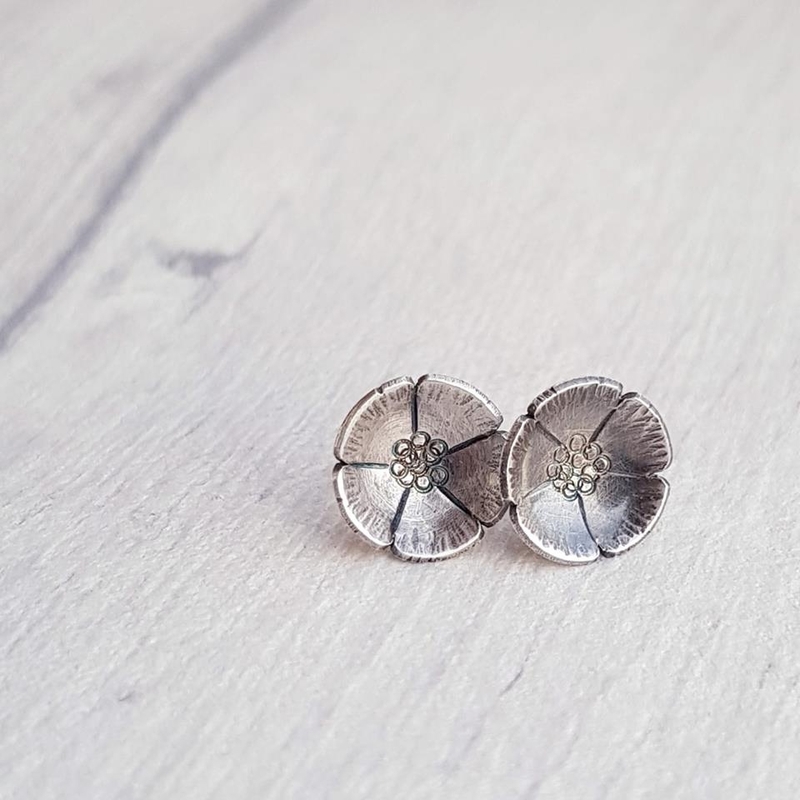 Anne Newman - "Repousse Sunflower Earrings. 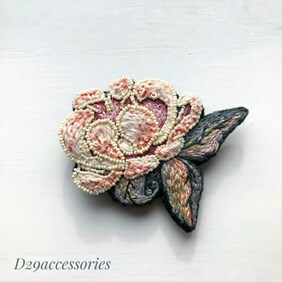 Designed and crafted by me." 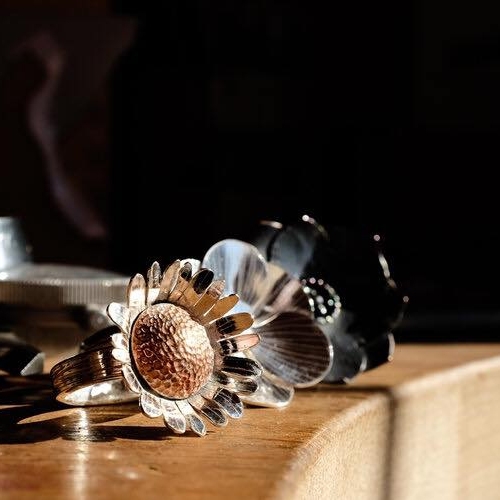 Silverpickle - "A Flower Power spinning Ring. Loving metal stamping." 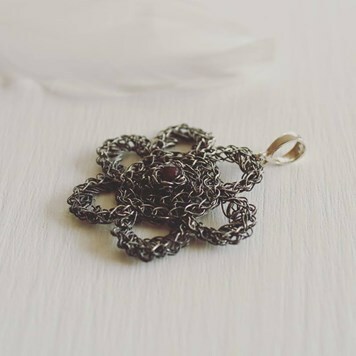 Dudely & Roo - "A customer wanted a necklace to incorporate her two daughters, jasmine and amber..."
Edita Liuiziene - "Wire crochet flower pendant with natural garnet. Sterling silver wire from Kernowcraft!" 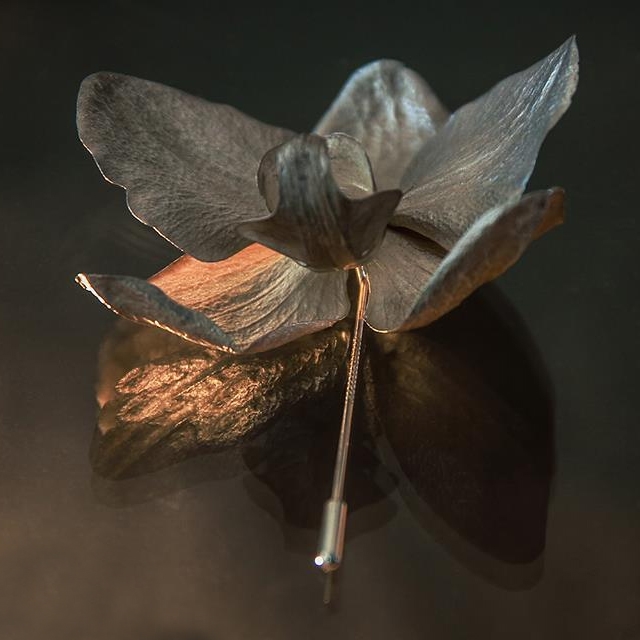 5igna Designs - "This sterling silver brooch was cast from an orchid. 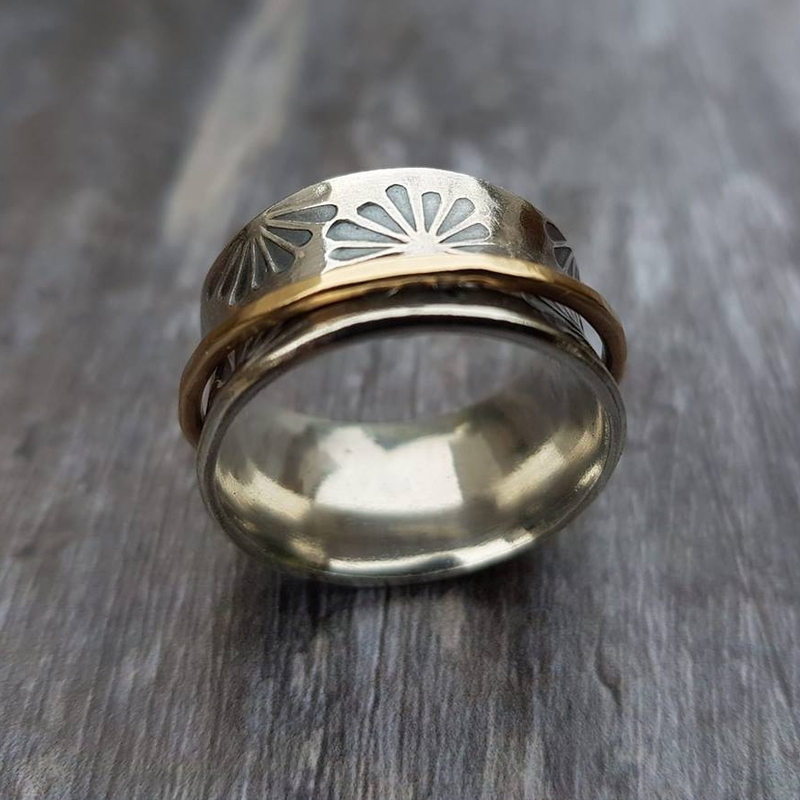 A very lucky lady got it for Christmas last year." 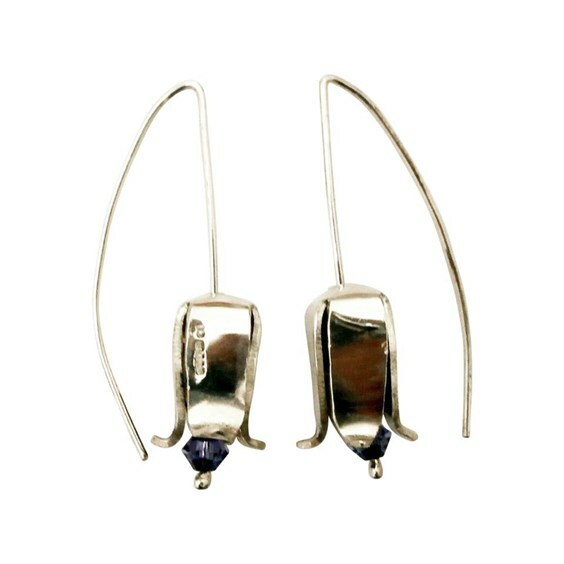 Genevieve Whittle Ford - "Sterling stud earrings." 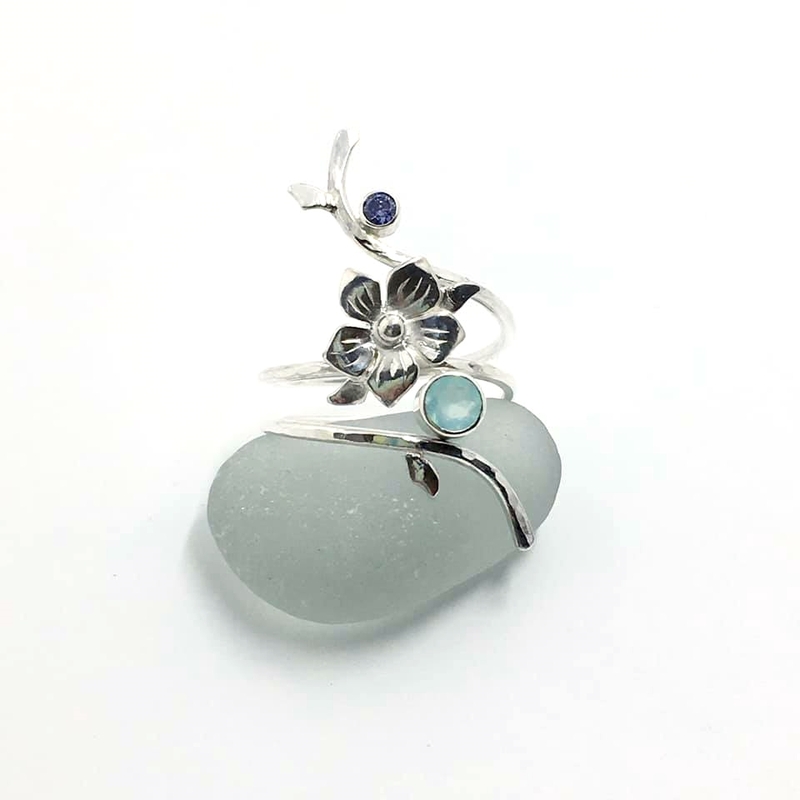 Sheila Kerr - "These are my ‘Bluebells’. 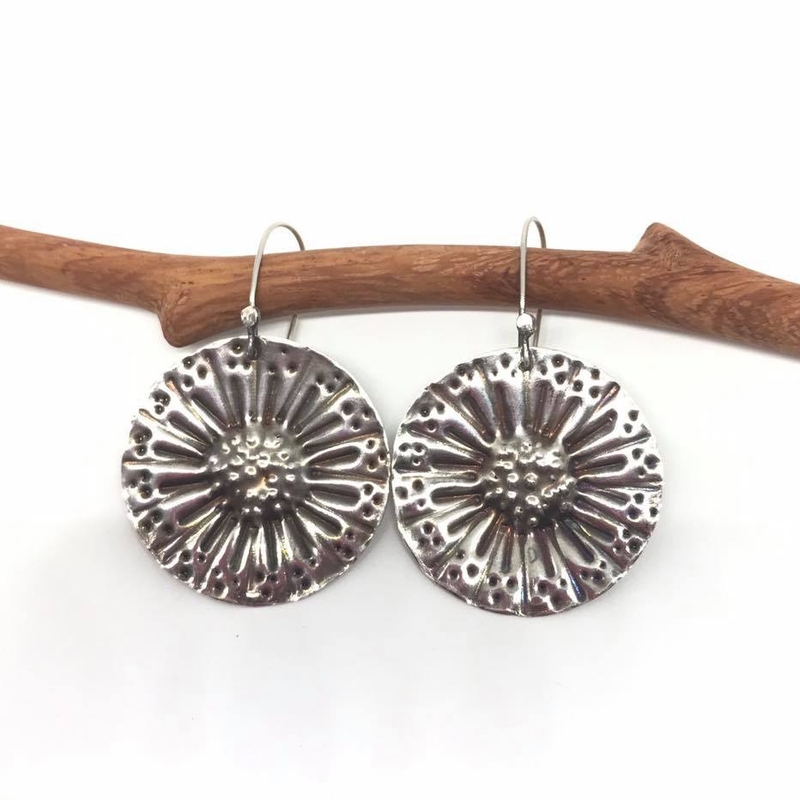 Created in sterling silver, these are individually handmade from sheet silver. I have added Swarovski crystal in tanzanite which resembles the bluebell colour." 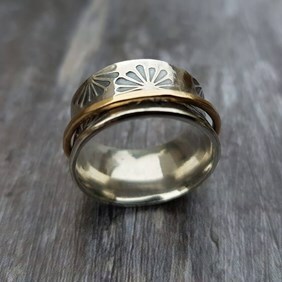 Sea Surf Rocks - "Wap flower vine ring. Loved making this one!" D29 Accessories - "Bead embroidered Brooch Peony." Anne Newman - "Hand sawn copper flower earrings with sterling silver ear wires." 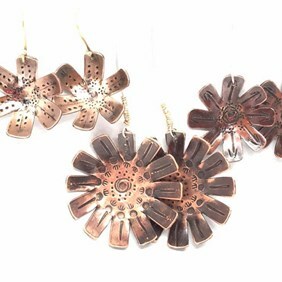 Lacey Kerr - "Summer Gold pendant and earring set. 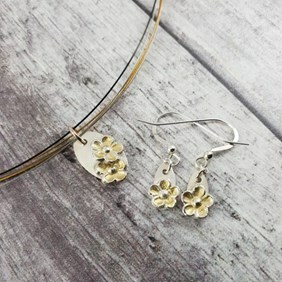 Fine silver with gold colour guilding liquid painted onto the flowers." Laura Jayne - "Petal earrings." 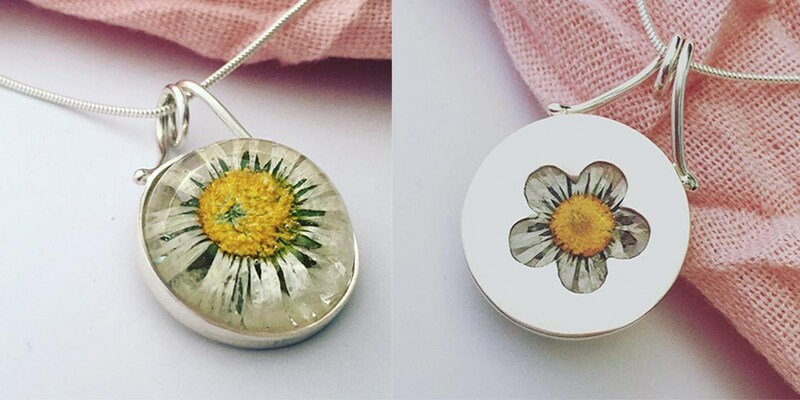 Into Jewellery - "A special daisy captured in resin with a hidden daisy on the reverse." 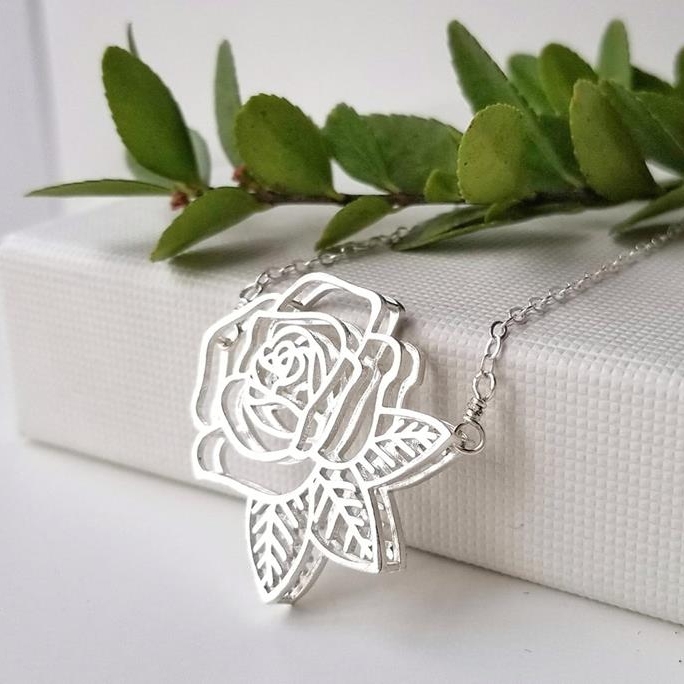 Lana Betty - "3d printed rose, new for spring." 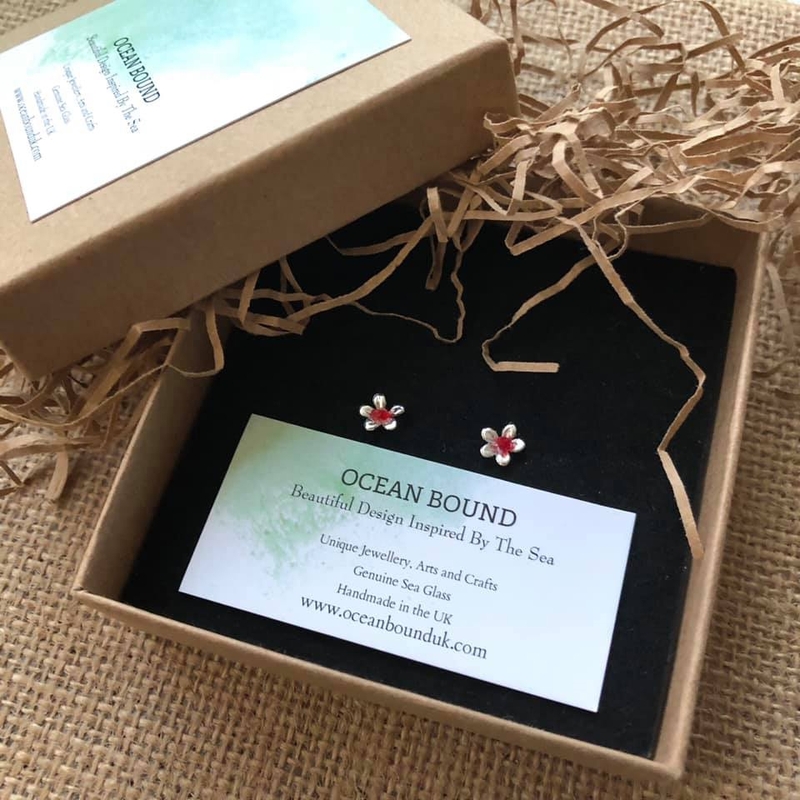 Ocean Bound - "Waiting for spring. 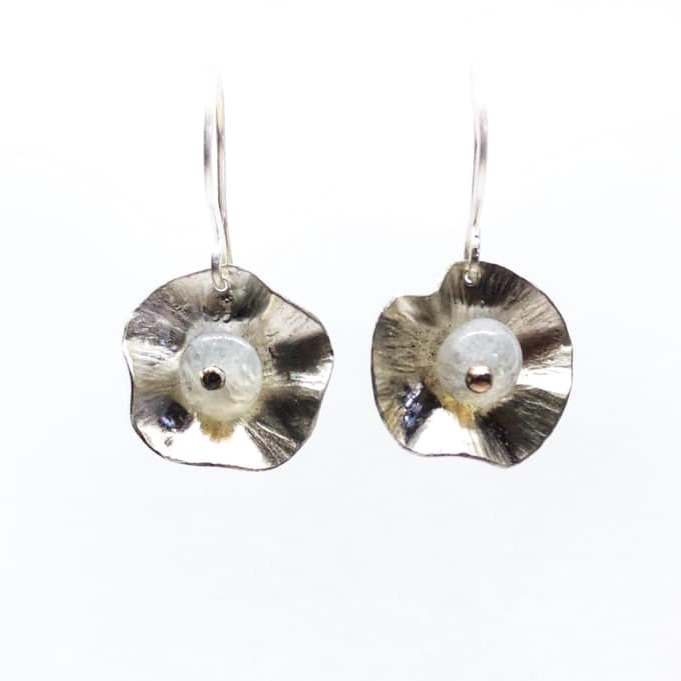 Daisies filled with genuine rare red English sea glass." Saffron Dilly - "Lots of daffodils with some gemstones from Kernowcraft." Moonsalt Jewellery - "Queen Anne’s Lace flower." 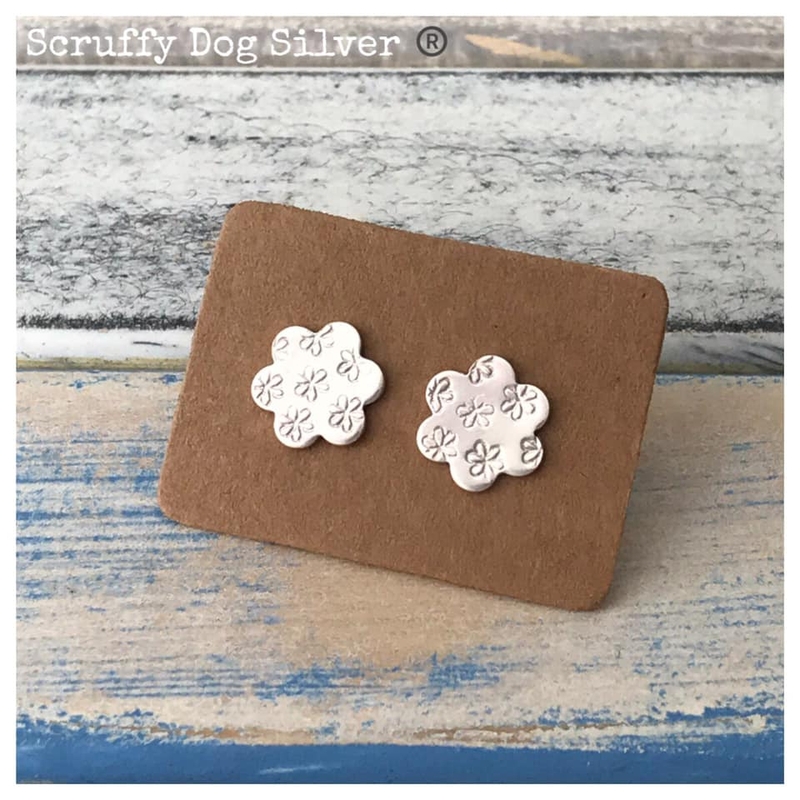 Scruffy Dog Silver - "Dinky Daisies."